Happy Book Birthday, Dear HERO! I am proud to announce the birth of MY VERY FIRST NOVEL OUT IN PAPERBACK today! Please buy ten copies for yourself and a few for all your friends. Make sure your local library has one, and your school library, and your kid’s classroom. Then tell everybody you know. WE CAN HIT THE NEW YORK TIMES, PEOPLE! 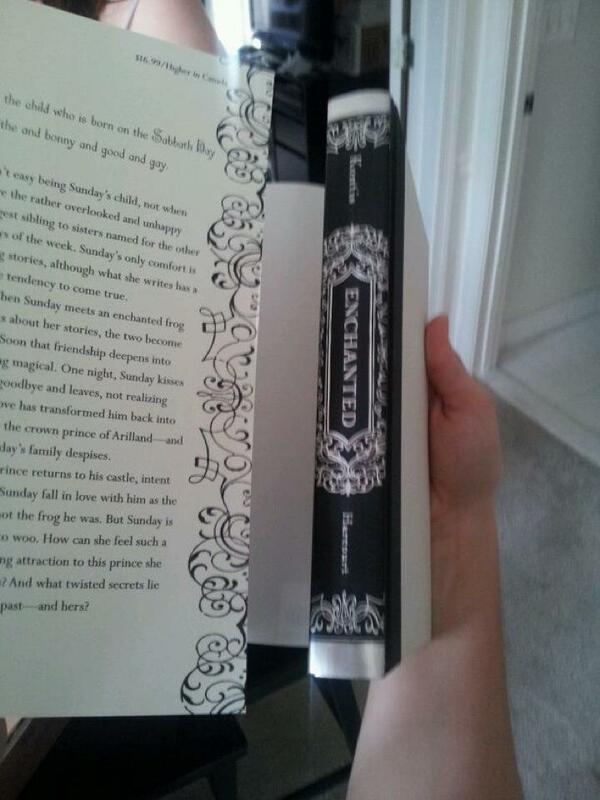 Also, the book is GORGEOUS. 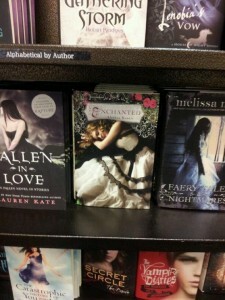 Get Enchanted in paperback on Amazon now for only $8.00! If audio is more your style, don’t feel left out: the Audie Award-nominated Enchanted audiobook is now only $8.99! Each year, YALSA presents the Best Fiction for Young Adults list after ALA’s Midwinter Meeting. This year’s list of 102 books was drawn from 200 official nominations. 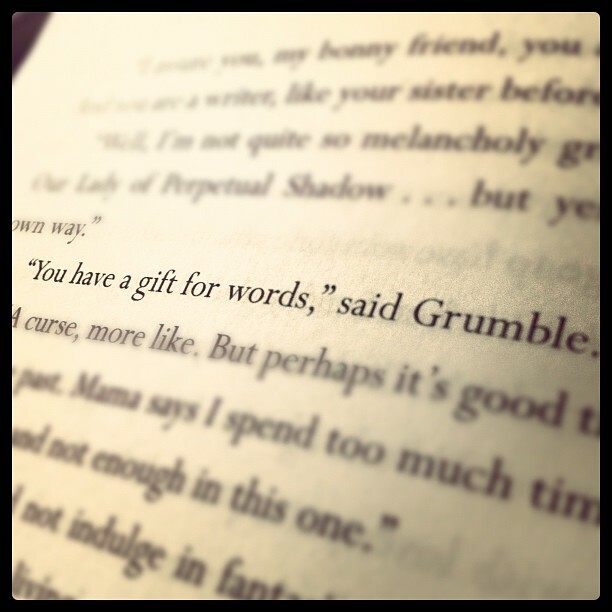 The books, recommended for ages 12-18, meet the criteria of both good quality literature and appealing reading for teens. The list comprises a wide range of genres and styles, including contemporary realistic fiction, fantasy, horror, science fiction and novels in verse. *Kontis, Alethea. 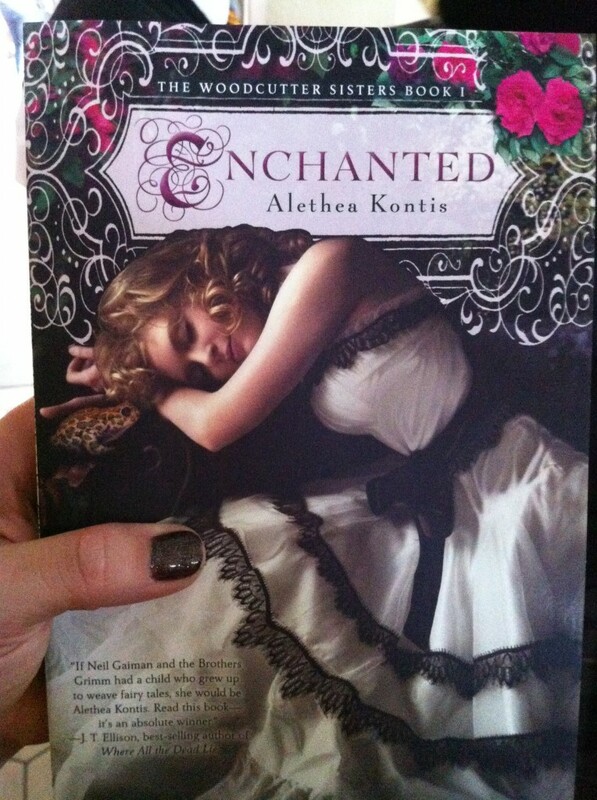 Enchanted. 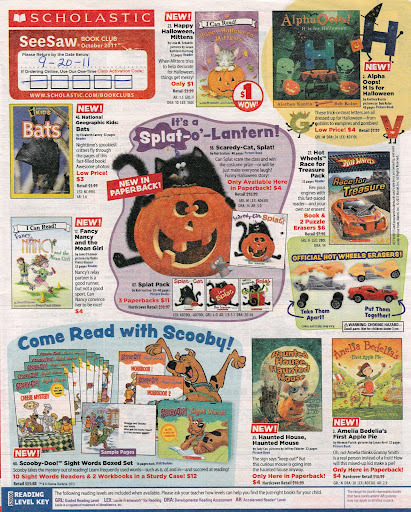 Houghton Mifflin Harcourt/Harcourt Children’s Books, 2012; ISBN 13: 9780547645704; $16.99. 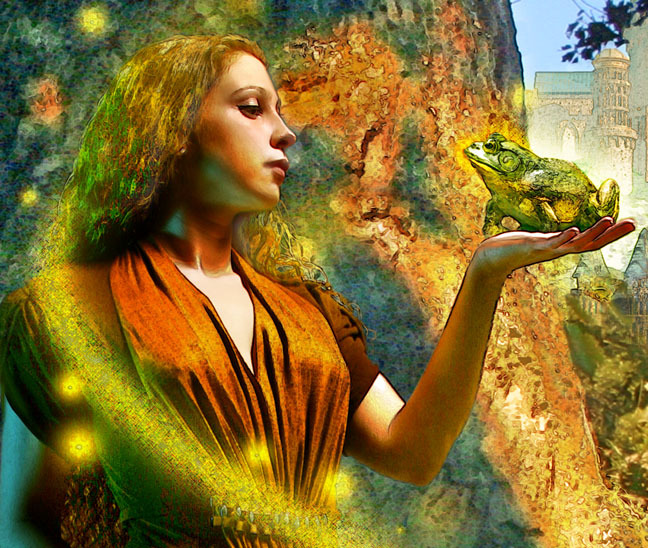 Sunday’s child may be able to find her story with the help of ….a frog. I cannot express my sheer amount of joy and overwhelming love I have for librarians right now. Thank you all so very much!!! For the full list of REALLY GREAT BOOKS, click here! 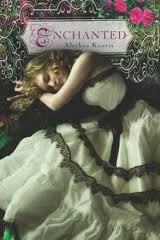 Edited to add: Not to be outdone, ENCHANTED on audio also made the Amazing Audiobooks for Young Adults list! I am having a very, VERY good day. 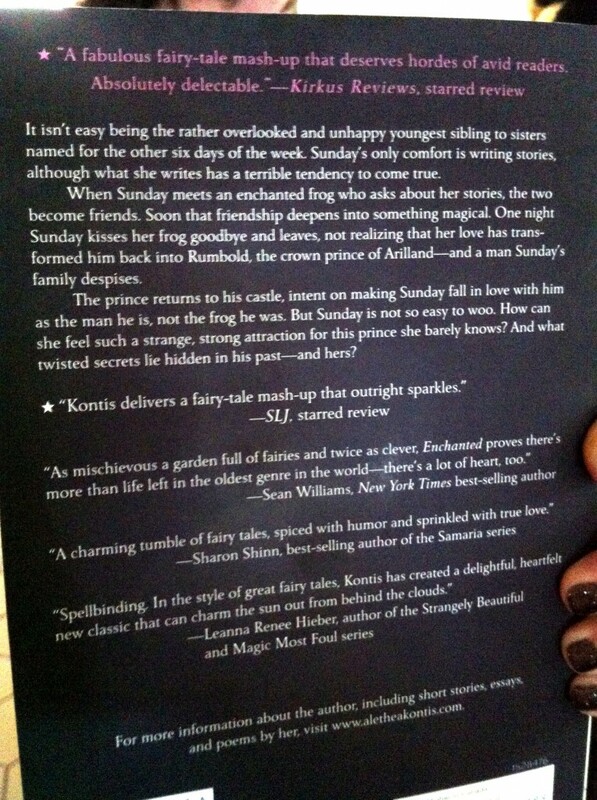 SALE: Two Book Deal with Harcourt for ENCHANTED Sequels! You know I’ve been working on it, and those of you who saw me on book tour this summer got the scoop, but the stars have finally aligned and I can officially make the announcement: Harcourt has signed me on to do two more books in the Enchanted series!!! 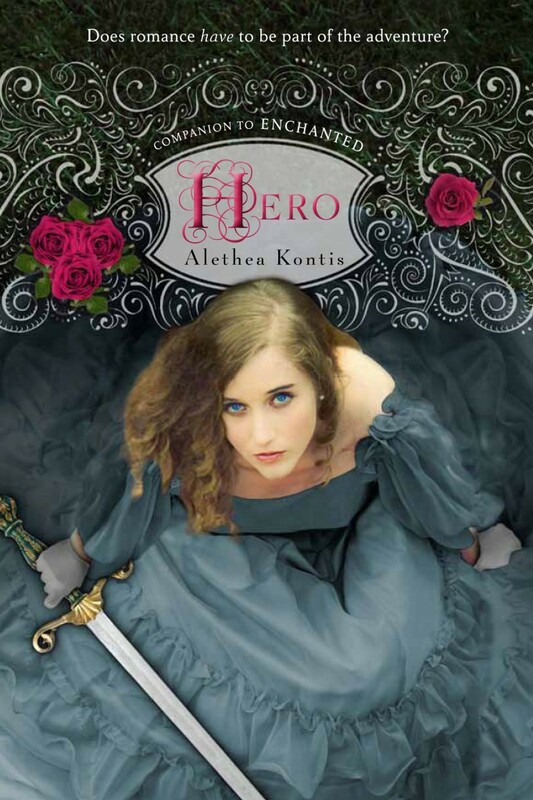 Alethea Kontis, New York Times bestselling co-author of Sherrilyn Kenyon’s Dark-Hunter Companion and bestselling author of the AlphaOops! series of picture books, saw her debut novel, Enchanted, launch early this May and instantly garner the coveted Gelett Burgess Children’s Book Award. Hot on the heels of Enchanted‘s breakout success, Houghton Mifflin Harcourt offered Kontis a nice, two-book deal to further the fairy tale adventures of the Woodcutter sisters. 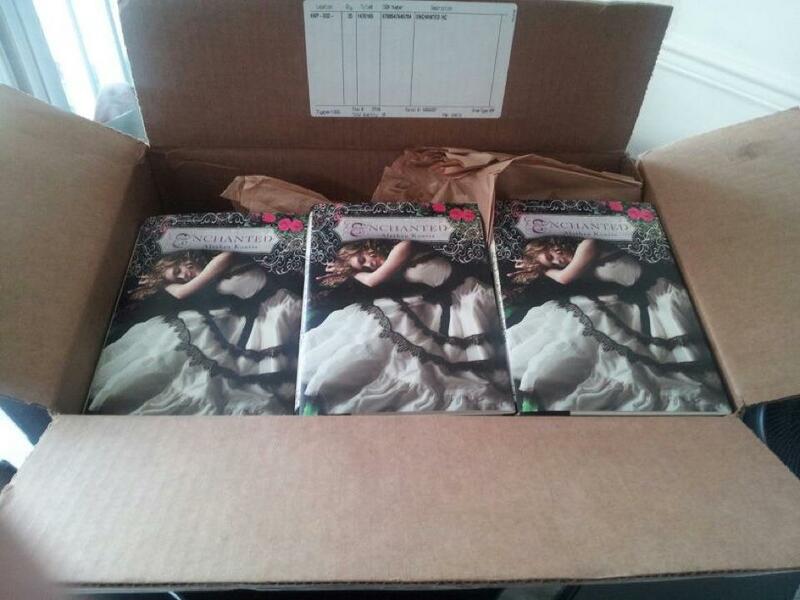 The books, tentatively entitled Hero and Beloved, will follow the lives of sisters Saturday and Friday, respectively. HMH plans to release the titles in the fall of 2013 and 2014. I am officially on bookstore shelves around the country! My friend Brian Hardin scanned this in for me and posted it on FB this morning. There isn’t a squee big enough to convey exactly how much this means to me. That’s right — I’m back from Dragon*Con, the Internet is back up, and now my website is cooperating so I can post again! Of course, I still have that pesky bookstore day job (and Fairy Goddaughter the Elder’s Birthday) so you won’t get all the info at once…but you’re okay with that, and I thank you for your patience. 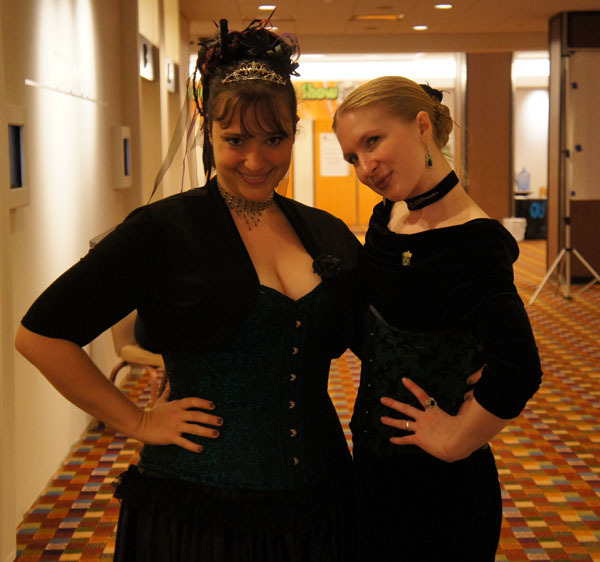 Here’s a seriously great interview that K. Tempest Bradford did with Leanna Renee Hieber and me the Saturday of Dragon*Con between the Yule Ball and the Time Travelers Ball (that’s right–we were ball-hopping). In it, Leanna and I chat (in more of a conversation-chat than a Q&A presentation, which is lovely) about the wonders and difficulties of being SF fans and pros at the same time. I also make a secret announcement about an as-yet-unannouced project I am very squeeish about. You can check it out here. But I may need to start looking for another job. Like, yesterday. 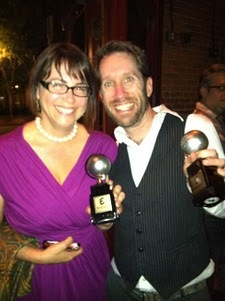 Janet & Jim just won the Eisner for Best Graphic Album (New). Squeeeeeeee!! Let the happy dancing commence. Here it is, everybody, the big announcement you’ve been waiting for! It’s official: my debut novel SUNDAY has been bought by Houghton Mifflin Harcourt for publication! 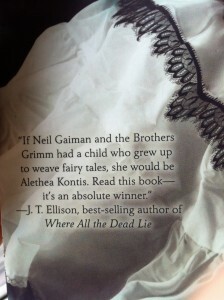 Right now, the proposed pub date is 2012…but don’t fret, my chickadees. 2012 is right around the corner. And worry not, for I have many other new and fun things in store for you to whet your appetite until then! I’ll keep you posted! But in the meantime….PARTAY!!!! WOOOOHOOOOO!!!!! !